This contest is now closed. Check back in August 2019! 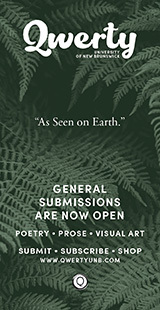 The Malahat Review invites entries for its annual Open Season Awards in poetry, fiction, and creative nonfiction with prizes totalling $CAN 6000. The contest is open to Canadian and international writers anywhere in the world, with a final deadline of midnight (PST) on 5 November 2018. All entries are judged anonymously. 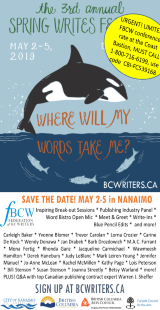 The winner in each category will receive a prize of $CAN 2000 and be published in the magazine's spring 2019 issue. Get inspired! Read interviews with Carmelinda Scian and Kyo Maclear, and learn more about Shane Book in a previous interview on his poetry that appeared in Issue #200. Poetry: up to 3 poems only per entry, no individual poem more than 100 lines long (a line count must be given for each poem longer than 50 lines; all poems must be submitted in a single document). Fiction: 1 story only per entry, no more than 2500 words in length (the word count must be given at the top of the first page and the text double spaced). Creative Nonfiction: 1 piece only per entry, no more than 2500 words in length (the word count must be given at the top of the first page and the text double spaced). All entries are judged anonymously (no identifying information is to be included on any poem, story, or nonfiction piece submitted). Multiple entries are allowed (at a reduced fee, if paid for at the same time as the initial entry: see Entry Fees and How to Submit below). Entrants may submit work in more than one genre (for further information see Additional entries below). • See How to Pay (below) for detailed instructions. To receive the reduced entry fee(s) of $CAN 10.00, any additional entries must be paid for at the same time as the first entry; such additional entries should be submitted online within 24 hours of the initial submission. 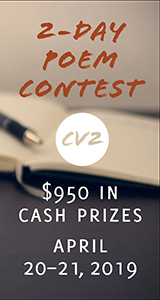 Additional entries may be submitted in any genre (e.g., an initial entry in poetry may be accompanied by an additional entry or entries in poetry, fiction, or creative nonfiction). The same guidelines apply to additional entries as to the initial submission: i.e., an additional entry of poetry must be from 1 to 3 poems, each not more than 100 lines in length; an additional entry of fiction or creative non-fiction must be a single piece of not more than 2500 words. No work already published (even if only excerpted, or even if revised since original publication), already accepted for publication, already or simultaneously submitted elsewhere is eligible for consideration. 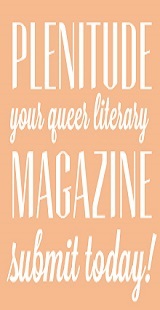 The Malahat Review considers any appearance in print or online to be a publication, whether the form of publication be a newspaper, newsletter, magazine, anthology, chapbook, book, website, personal website or blog, Twitter, Facebook, or other suchlike forum for public circulation. This restriction on eligibility applies regardless of the size of the print run or the extent of the circulation of previously published work. Disqualification. Failure to comply with these criteria for eligibility will immediately disqualify any entry, regardless of when the ineligiblity is discovered in the process of adjudication (submission, processing, screening, shortlisting, final judging). The entry fee for a disqualified entry will not be refunded, and the entrant will still receive a one-year subscription to the magazine. The winner in each category will be notified by email. Other entrants will not be notified of the judges' decisions. Publicity. The winner and finalists in each category will be announced in late January 2019 on The Malahat Review's website, Facebook page, and Twitter account. All winners will be interviewed, and the interviews will be published on The Malahat Review's website, and in the March 2019 edition of Malahat lite, the magazine's monthly e-newsletter. Publication. 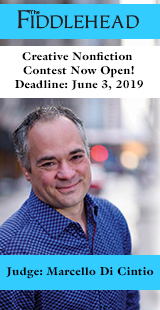 The winning entry in each category, and only the winning entry, will be published in the Spring 2019 issue of The Malahat Review. Payment must be made online through The Malahat Review Store (if you do not have a credit card, you can pay by cheque or money order: see #3 below). Online payments will not be accepted after the contest deadline (if you have any problems with such payment, please write to malahat@uvic.ca). Payment by cheque or money order must be mailed with a postmark date of no later than 5 November 2018. Only online submissions made through The Malahat Review's Open Season Awards portal on the Submittable website will be accepted. A single entry is defined as 1 to 3 poems (uploaded in a single document, maximum 100 lines per poem), or 1 story or 1 creative nonfiction piece (maximum 2500 words in each case). Read about J. Mark Smith one year post-win: "I Find Writing Poetry Very Tough: Stephen Leckie in conversation with J. Mark Smith"
Read about Erin Frances Fisher one year post-win: "And You Keep Going" Vanessa Herman in conversation with Erin Frances Fisher"
Read about Tik Maynard one year post-win: "We All Need a Little Encouragement: Julia Kochuk in conversation with Tik Maynard"